Construction work, including boring and piling, is high risk and requires intense safety precautions. 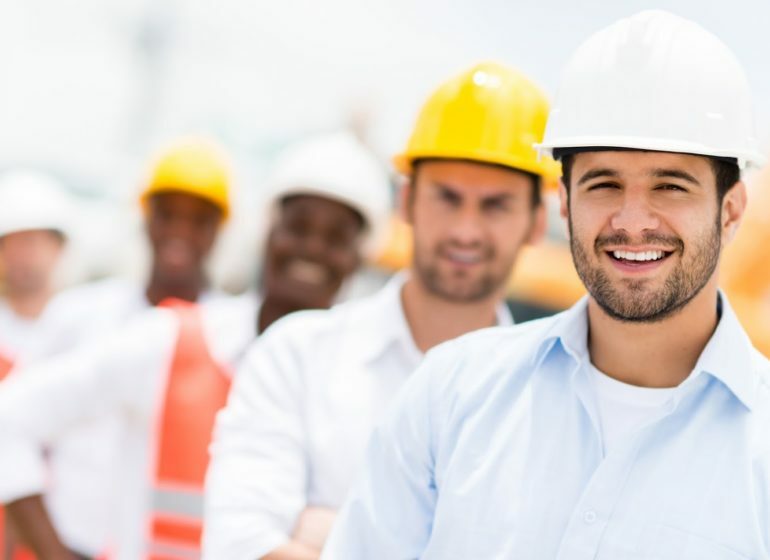 Choosing a subcontractor familiar with the industry’s safety precautions is an essential part of ensuring that your worksite is safe, that workers are protected and that the foundation itself is safe to build on. As we discussed in a previous blog, having a subcontractor who submits a comprehensive safe work methods statement is the first step in keeping your worksite safe. But if you’re not familiar with boring and piling yourself, you might have a few questions about whether the company you choose to work with really is as safe as they appear to be. Below, we’ll discuss a few of the national regulations surrounding boring, piling and foundation safety. By the time we’re through, you should have a more thorough understanding of which companies and subcontractors truly excel at safety precautions without simply having to take their word for it. Safe Work Australia requires anyone who works in the construction industry to complete induction, or white card, industry training before they can operate machinery on a construction site. Labourers who received white card training in the past but haven’t worked on a site for two years must retake their induction course to recertify. White card training teaches workers how to identify common construction site hazards and minimise risks. The training also covers workers compensation procedures, First Aid, proper safety equipment use and worker responsibilities on the work site. Only operators with heavy rigid (HR) heavy vehicle licences can operate the machinery required to bore and drill for foundations. HR-class heavy vehicles weigh more than 8,000 kilograms and have at least three axles, though they may have more. Before they can apply for an HR heavy vehicle licence, drivers must have had a regular driver licence for at least 12 months. They must then complete an HR-class vehicle driving class, pass a vision exam, pass a written exam and then pass a practical exam. Subcontractors are required to keep maintenance logbooks that evidence how and how frequently they maintain their equipment. Note that subcontractors don’t have to share their more comprehensive repair and maintenance records unless requested, but any good subcontracting company will ensure such records are readily available, easily accessible and immediately sharable with a contractor. Your subcontractors should maintain and inspect any other pieces of the equipment that the equipment’s manufacturer recommended for frequent maintenance. They should also check areas of the equipment that experience frequent wear, especially metal components that corrosion can weaken. The company should check their equipment every time it returns from a site and before it goes out to a new site. Bear in mind that logbooks aren’t enough on their own to demonstrate equipment safety. Safe, up-to-date foundation equipment should have clearly displayed safety and hazard stickers and the operator’s instruction manual in the cab. Before a piling and foundation vehicle even accesses the foundation site, an engineer or other certified person needs to verify the stability of the platform the vehicle will be positioned on. The inspector should then issue and file a certificate that clearly states how much weight the platform can hold and what equipment it can support. Looking for a boring and piling contractor who takes their work’s quality and safety seriously? Get in touch with Robar Boring. We follow all of the safety processes, procedures and licensing discussed above and are happy to detail our safety regulations in more depth.